If breathing the cold winter air sends a shock wave of pain through your mouth, or eating candy causes discomfort instead of pleasure, you may be suffering from the common problem of tooth sensitivity. The best way to deal with ongoing or unexplained tooth sensitivity is to find a qualified, affordable dentist in Peoria and receive regular dental care, but there are ways you can treat mild symptoms yourself. Here are some of the most common causes of sensitive teeth and their treatment options. 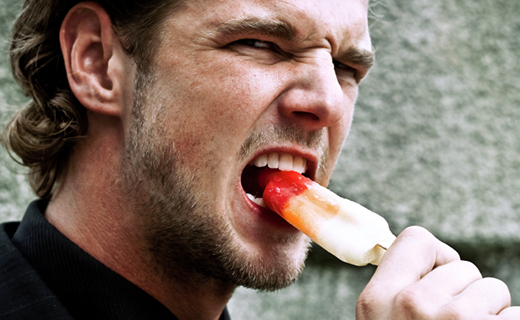 Tooth decay is a leading cause of tooth sensitivity to cold and sweet foods. Your dentist in Peoria can treat sensitive teeth with fillings, root canal treatments, or extractions. Worn, broken, or cracked teeth also lead to sensitive teeth due to the exposure of delicate nerves. Restoration through fillings, root canals, and crowns is often possible. Sometimes dental care habits are to blame. Using a medium or firm toothbrush and brushing too vigorously can damage gum tissue and tooth enamel. Desensitizing toothpaste may resolve mild sensitivity. 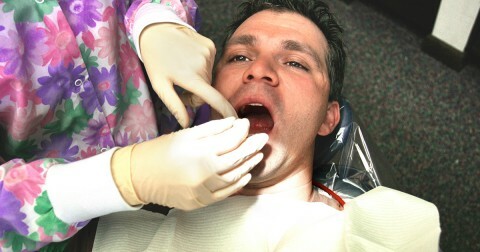 In severe cases, gum surgery or application of a dental sealer may be necessary. Acidic foods and drinks like citrus fruits and sodas can dissolve tooth enamel. Eliminating acidic foods and using desensitizing toothpaste usually helps. An uneven bite places undue pressure on certain teeth, and this can also cause sensitivity. Your family dentistry expert can correct the problem easily by adjusting the bite. Sometimes medical issues not related to the teeth can cause sensitivity. These include sinus infections, muscular facial or neck pain, or temporomandibular joint syndrome. Eating disorders and gastric reflux can also lead to sensitive teeth. Preventing tooth sensitivity is easier than treating it, so if your symptoms are mild, take action immediately to address any contributing issues. If your dentist in Peoria corrects the cause early, you may be able to avoid expensive dental care costs in the future. Maple Shade is a very warm and caring group of professionals. Cleaning and checkup very well done.